On an unseasonably warm day, in beautiful surroundings, nearly 50 people gathered to talk about smart cities. Indoors. 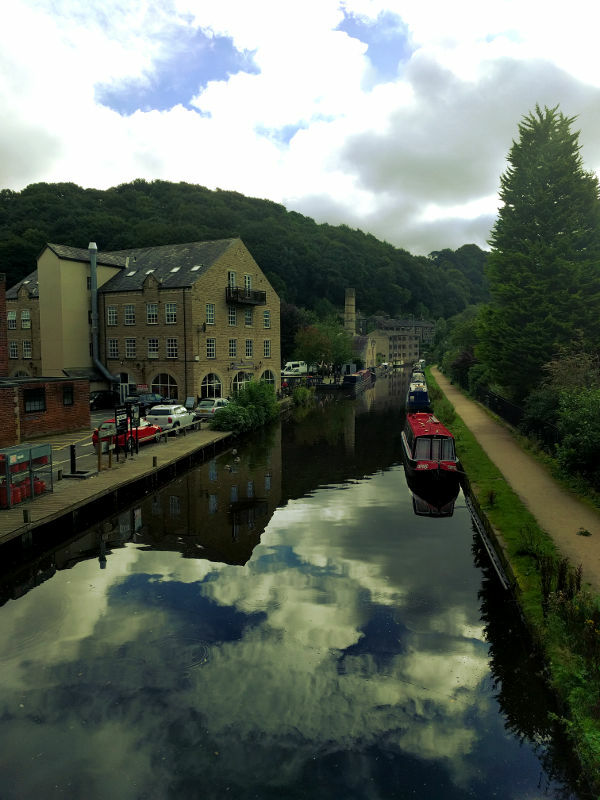 Don't worry, we had lovely screen doors overlooking the river and a balcony to get some fresh air - our hub for the day was the lovely Hebden Bridge Town Hall. Our #OpenSmartCity Series is a response to the challenge made to technology & smart stuff that cities are about people, not just technology. Our #OpenSmartCities events will work to build, share, and provide examples of working approaches, platforms, and projects that we can look to when we want to answer the question – "We know the technology is coming but cities are about people aren't they?" The day kicked off with a brief introduction to #OpenSmartCities, ODI Leeds & Open Data Manchester by Paul Connell & Julian Tait. Our facilitators for the day, included Tom Forth, Dave Mee, Giles Dring, and Steve Brown, followed by a rapid intro from our forty six attendees and started the conversation using sharpies and our #OpenSmartCities visuals. With everyone set up in their areas of interest, the rest of the morning was devoted to sheets of paper, sticky notes, marker pens, and vigorous scribbling of notes and ideas. Initially, everyone was encouraged to think quite broadly, disregarding any barriers they faced. It was interesting to see what cropped up across the different themes and how often - a lack of open data, lack of funding, lack of skills, how to build a business model, and investment challenges being the most common. After lunch, groups were asked to pick just one idea for the rest of the day and explore, review and challenge it to its fullest. Some groups took the opportunity to leave the conference room and talk to the lovely people of Hebden Bridge, gathering some real time feedback to influence their thinking for the rest of the day. Everyone made it back for one final flurry of ideas and then it was time to show and tell. Over the coming weeks, we will be posting topic-specific blogs from attendees or facilitators, so keep your eyes peeled.